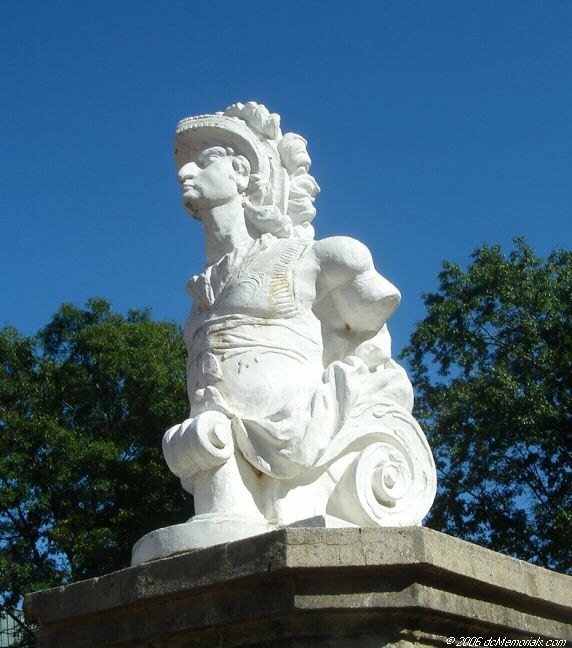 Depth of Hold 18' 4"
69k Alexander the Great - the figurehead of the British frigate HMS Macedonian at the United States Naval Academy, Annapolis, MD. 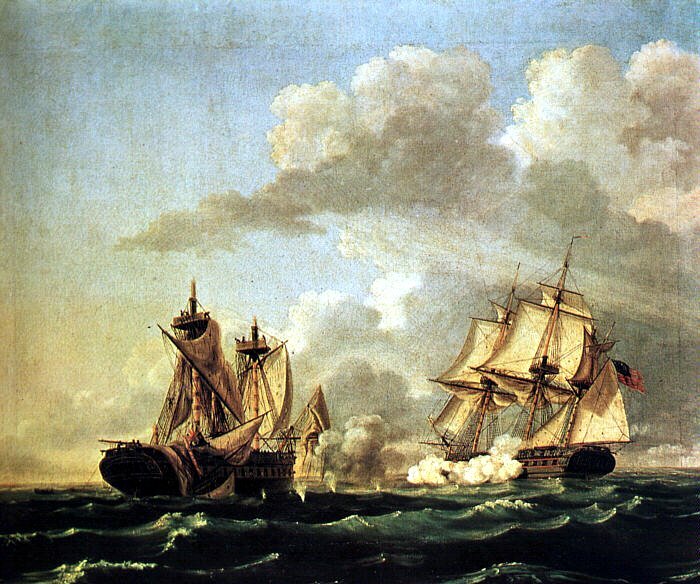 48k HMS Macedonian engages the frigate USS United States in the South Atlantic Ocean south of the Azores. 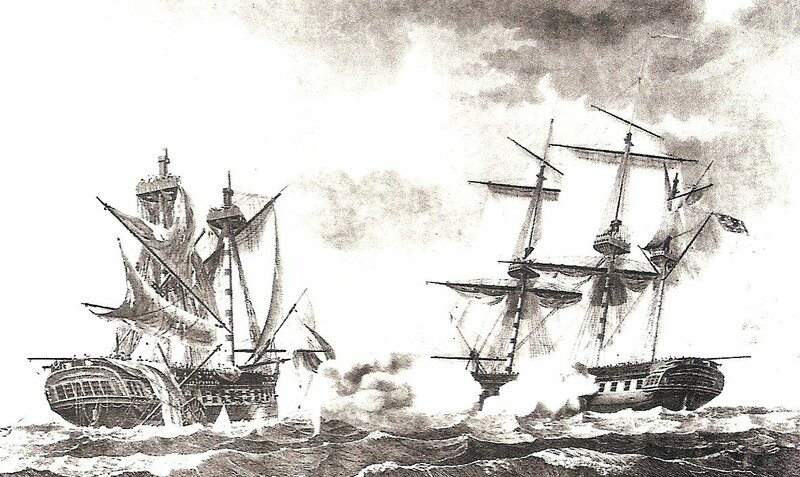 48k Engraving by Alonzo Chappel of HMS Macedonian engaging the frigate USS United States in 1812 in the South Atlantic Ocean. 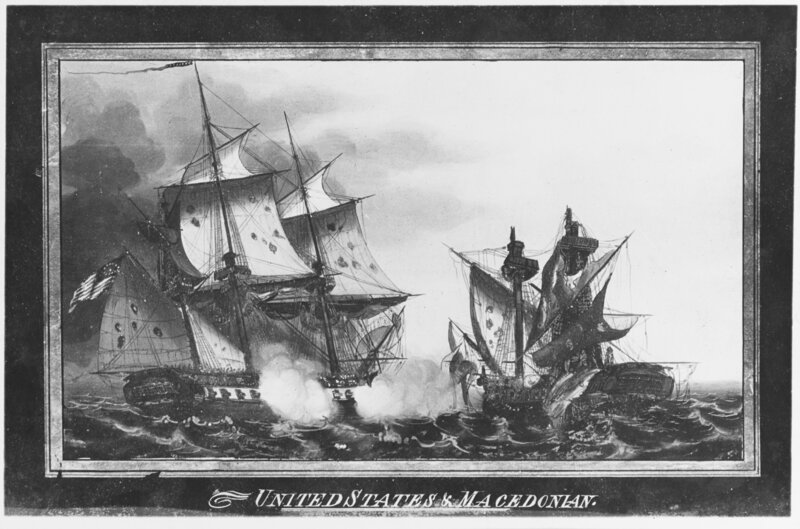 68k "USF United States vs. HMS Macedonian, 25 October 1812" Engraving after Thomas Birch, courtesy of the New-York Historical Society, collection of the Naval History Society, 1935. 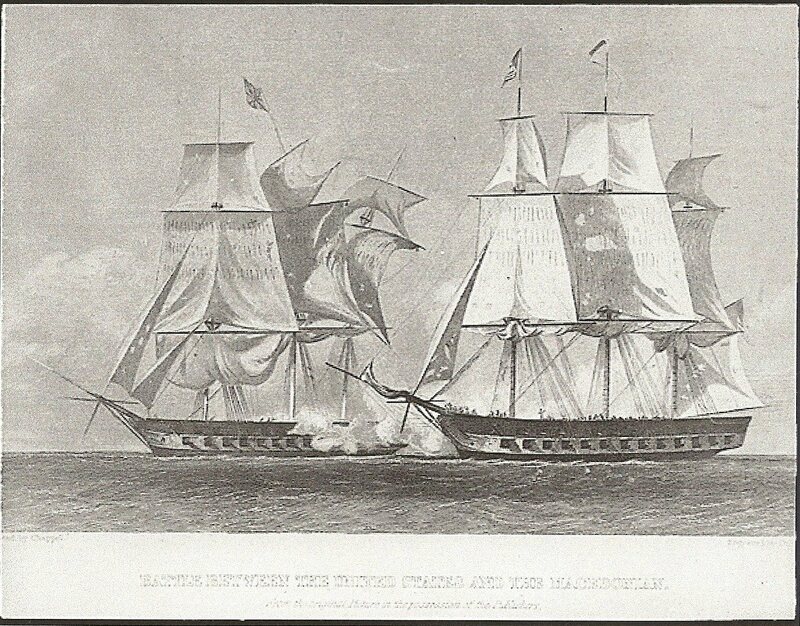 67k "USF United States vs. HMS Macedonian, 25 October 1812" Engraving after William Strickland. 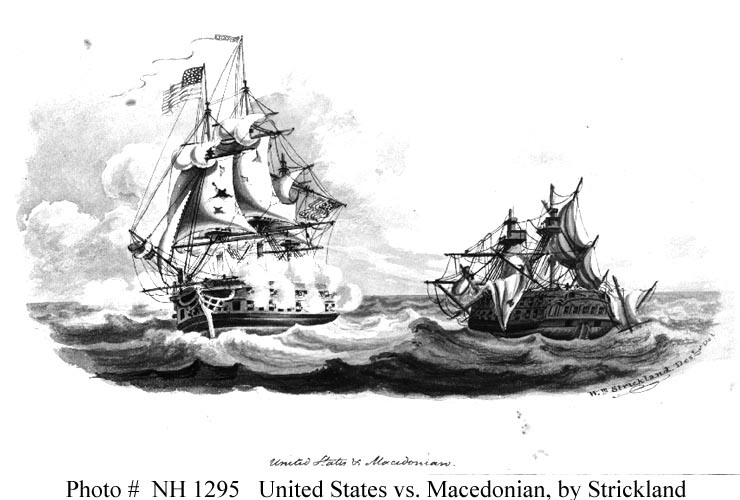 This action resulted in the capture of the British frigate, which was then taken into the U.S. Navy as USS Macedonian. 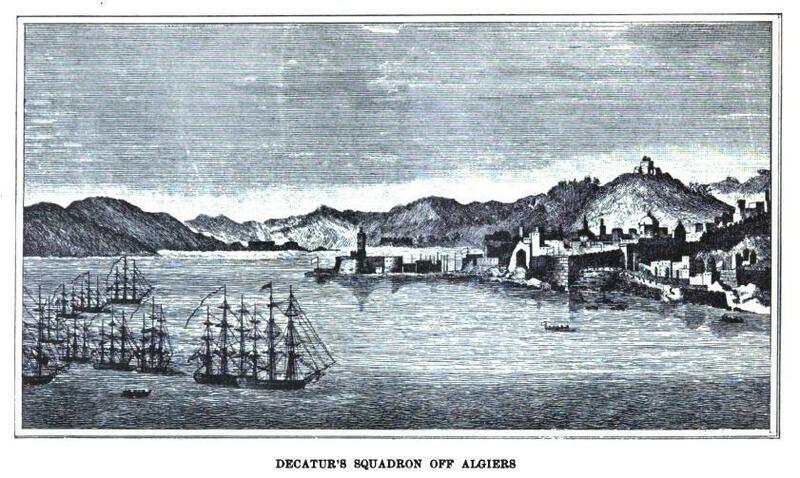 Courtesy of the New-York Historical Society, collection of the Naval History Society, 1935. 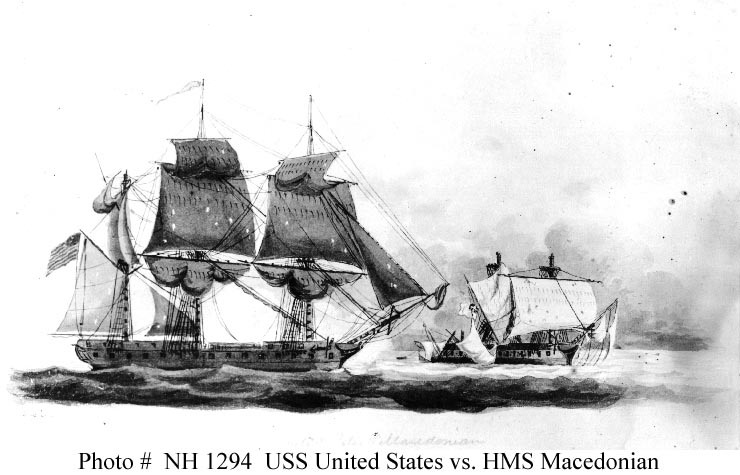 261k USF United States (right) with her more powerful guns defeated HMS Macedonian, 25 October 1812. 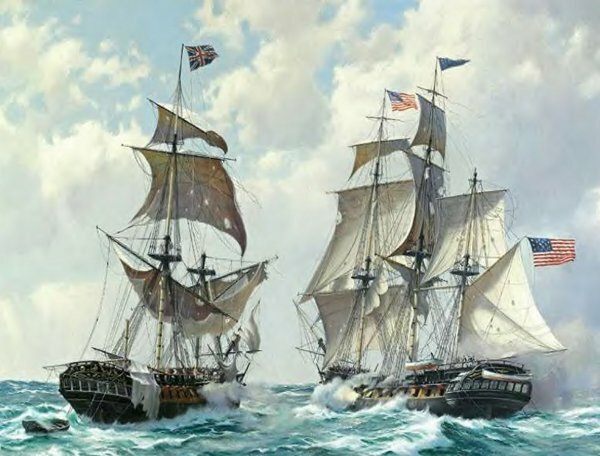 Battle between USF United States commanded by Captain Stephen Decatur and HMS Macedonian. 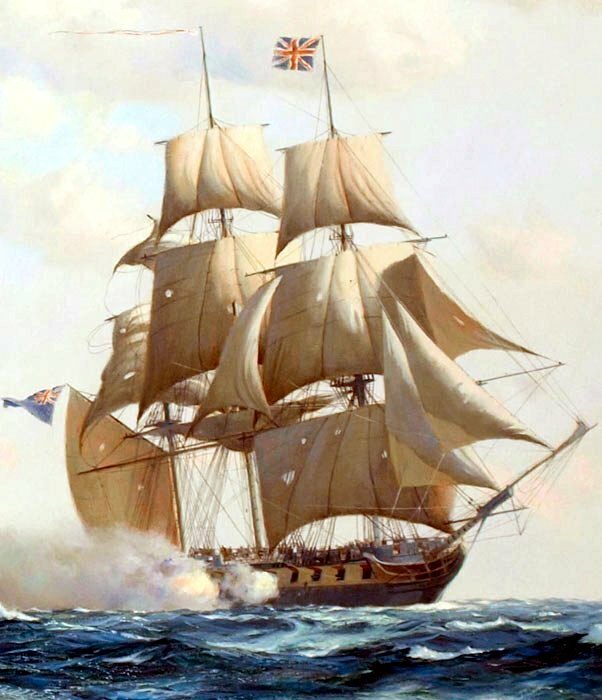 Macedonian was brought into Newport and repaired and later commissioned in the U.S. Navy. 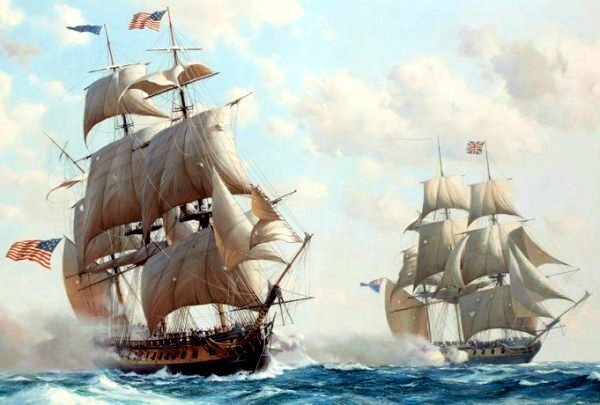 Battle took place 25 October 1812. Painting on glass. 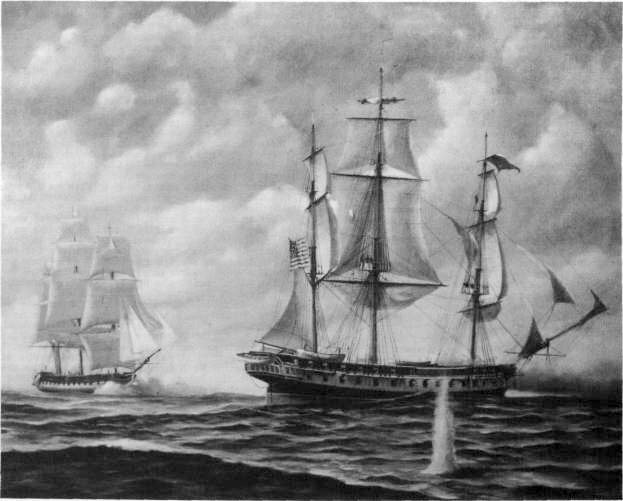 73k HMS Macedonian engaging USF United States, 26 October 1812.